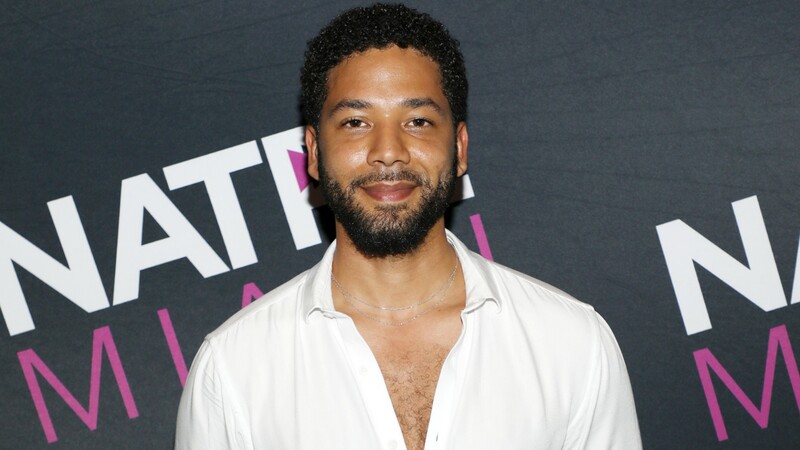 In the early morning hours on Tuesday, Empire star Jussie Smollett was the victim of an allegedly racist and homophobic attack while he was walking on the streets of Chicago. News outlets, including Variety, jumped on the story of Smollett’s alleged attack, and the details that have come to light surrounding this incident only make it all the more troubling. According to Variety, Smollett was hospitalized in the early morning hours on Tuesday following a physical attack that reportedly has racist and/or homophobic motivations. The actor was in Chicago because he was due to perform in a concert over the weekend and was out getting food on Monday night after landing at the airport. A statement released by the Chicago Police Department, supplied by Variety, states that two men approached Smollett and were apparently yelling “racial and homophobic slurs” at the actor. The two men reportedly “poured an unknown chemical substance” on Smollett and put a rope around his neck. The men then reportedly fled on foot, and Smollett was able to get himself to a hospital for treatment. Our wishes for a safe and speedy recovery are with Smollett at this time.